Learn how to use the Boundary Warp slider in Lightroom CC, so you don't have to crop out important details. 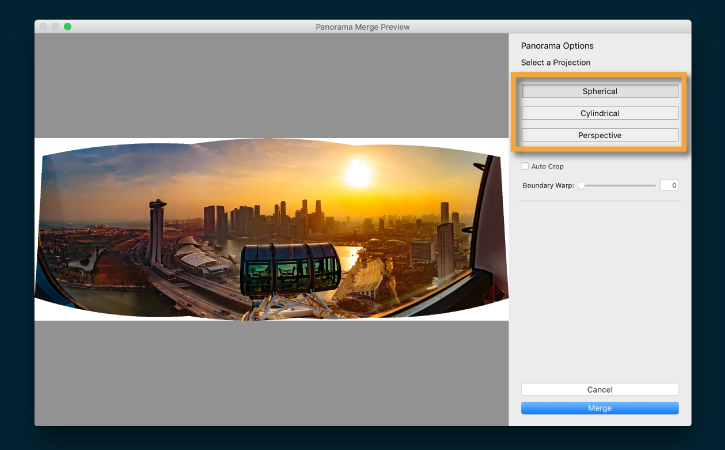 You can combine multiple photos into a stunning wide-angle panorama using Panorama Merge in Lightroom CC, but it may result in uneven borders. 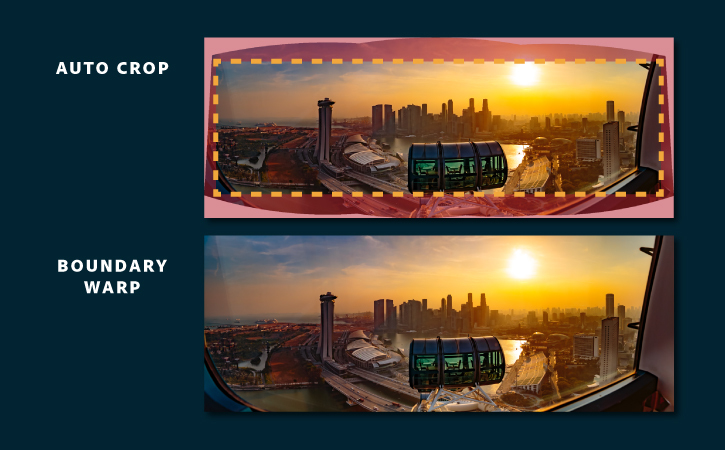 You could crop out uneven borders with Auto Crop, but cropping often means losing important details of the full photo. 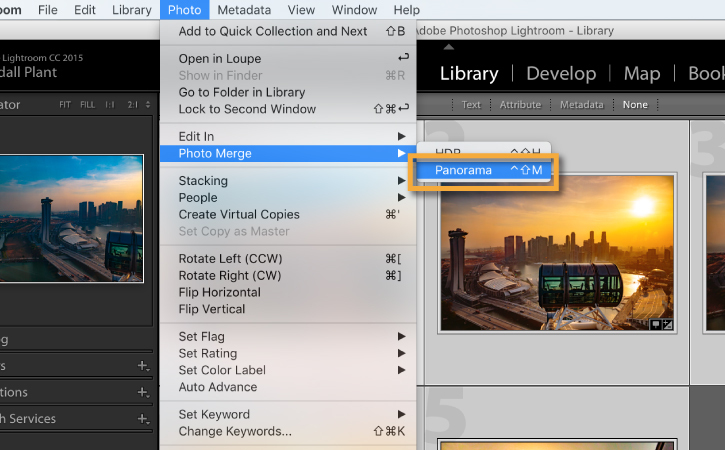 Open Lightroom CC on your desktop, and import the practice files provided on this page or your own photos that you've shot for a panorama. 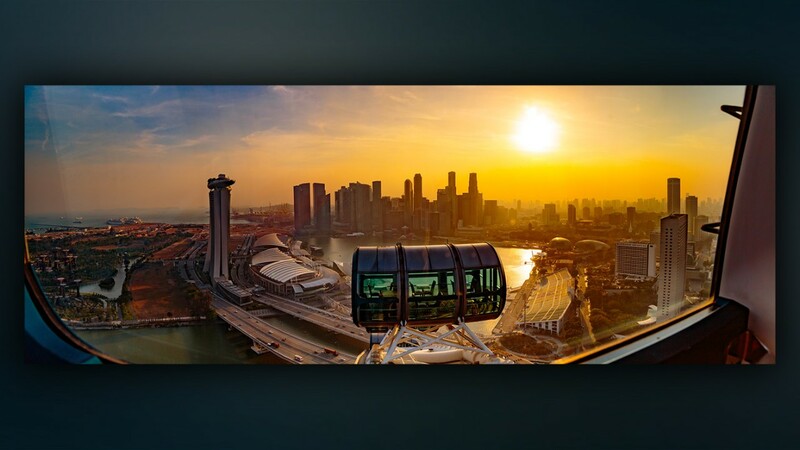 To learn more, see the tutorial Import photos into Lightroom CC.